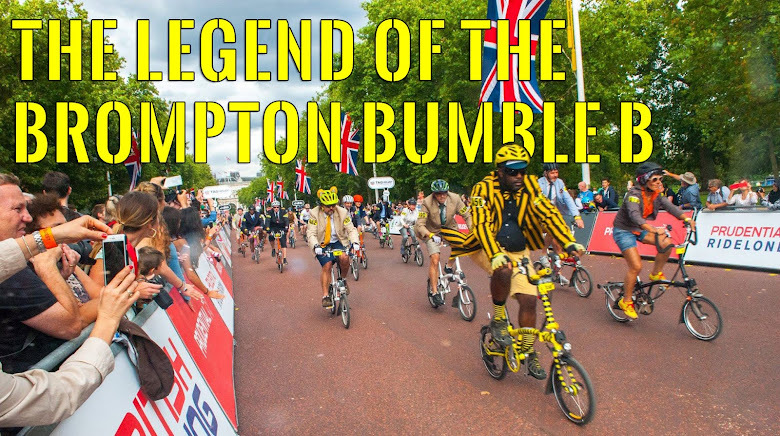 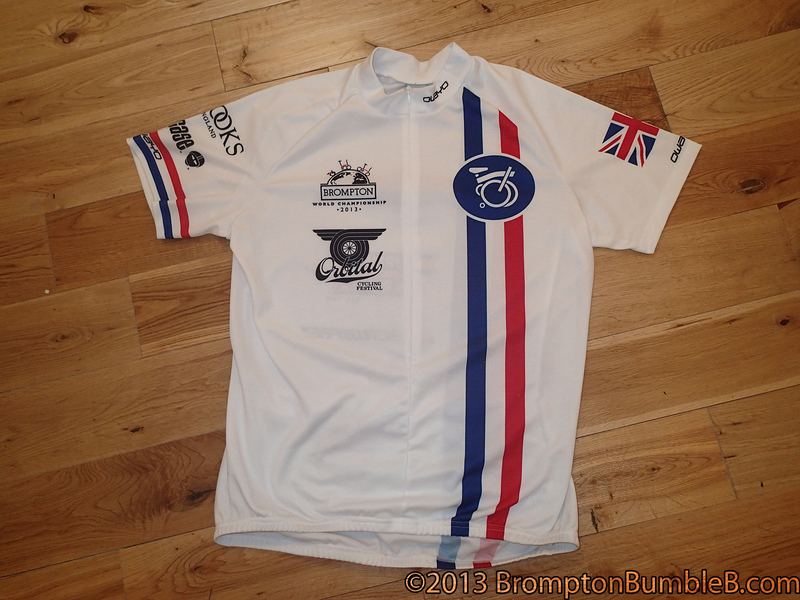 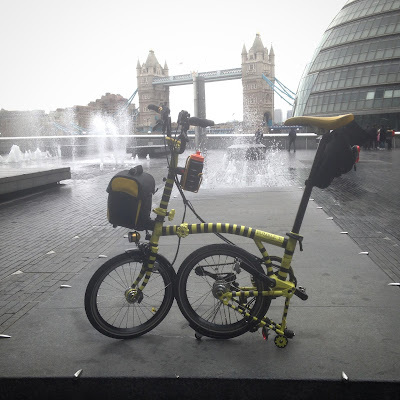 Finally got the Brompton World Championship 2013 cycling top. 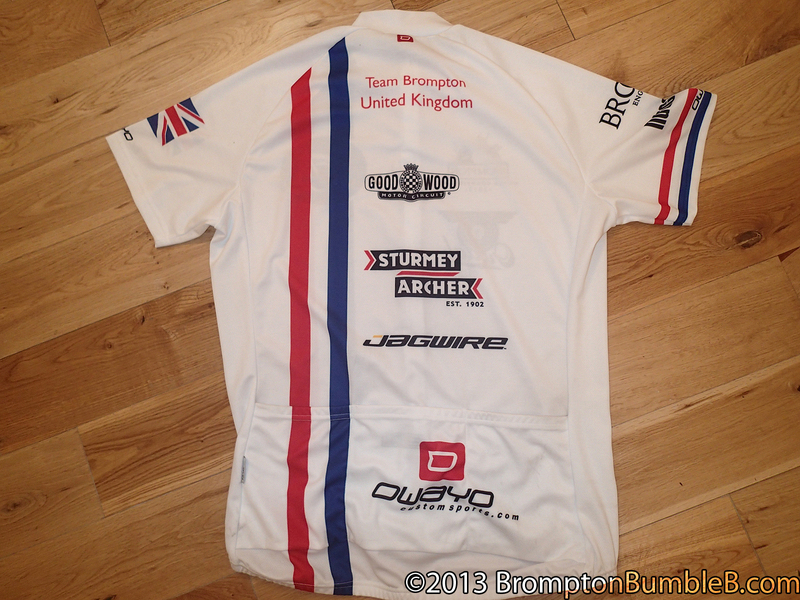 I got it at the BWC2013 a few months back but when I tried it on it was too small. 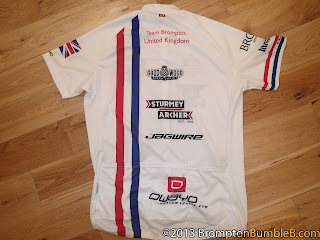 Lucky I was able to return it to Brompton to get a bigger size when they had my size in stock. I like it and wore it for the first time at the LCC: spaceforcycling ride last week and it felt pretty good.